We have provided a list of resources for self-study below. We will continue to add more resources as we find them, so please keep coming back. 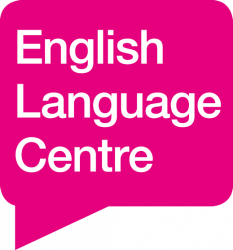 If you have found a website or book that has helped you, please email us at englishlanguage@lincoln.ac.uk and let us know, we may add it to the list. UKCISA & Prepare for Success Helpful information about UK academic culture and tips to help you study. Prepare for Success Lots of activities to help you prepare for study in the UK. Palgrave Study Skills Handbook – Cottrell, Stella (Book/Ebook)A very useful book, with advice on managing your time, academic skills and working with others. The University of Lincoln Library holds both hard-copies and electronic copies of this book. The Language Doctor Several helpful videos based on questions about English grammar and usage from international students. Who on Earth Are We? A collection of programmes about the topics of culture, culture shock and communication between people of different cultures. This site includes downloadable scripts for you to read as you listen. TEDEd A video library designed to support learning. Practice your listening skills and learn something new – just use the 'search' function to find a topic you are interested in. The library includes a Literature & Language category too. 11 English Podcasts Every English Learner Should Listen To Improve your English listening skills with 11 different podcasts aimed at all levels. Sounds of English Helpful for learning and improving the sounds of vowels and consonants in the English language, as well as their stress and intonation. How to Greatly Improve Your English Pronunciation in 8 Steps – FluentU This article provides tips on how to improve your pronunciation. Using English Completing these comprehension exercises will help you develop your reading skills. Interlink Language Centre Interactive reading quizzes aimed at those with an upper intermediate level in English. China Daily (Online Newspaper) Keep up-to-date with the news in China, Europe the US and Africa while practising your reading skills. Real Life English: 5 Ways to Improve Your English Writing Read this great article, proving that practice does make perfect! The Internet Grammar of English A website and app to help you understand English grammar. Perfect English Grammar A website set up by an English teacher with advice on how to improve your grammatical accuracy. Oxford Grammar for EAP: English Grammar and Practice for Academic Purposes – Paterson, Ken & Roberta Wedge (Book) This books comes recommended by our teachers to help you wit the functional grammar you need to succeed in your academic studies. Cambridge English: General English Test Here you can test your general English knowledge, and your English language level. BBC Skills Wise Lots of helpful, and free, fact sheets and worksheets. Lingoda Contains lessons on reading, grammar, speaking, vocabulary, and more! Vocabulary Games – British Council Learn English Choose games and exercises from a range of topics to improve your English vocabulary. Quizlet When you are on the Quizlet website, search for 'English'. There are quizzes, flashcards and audio clips to help you learn new English vocabulary. The BBC's 6 Minute English podcats are a great way to learn something new and quickly.